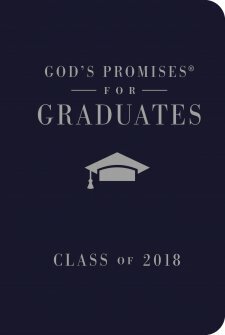 The #1 bestselling graduation gift book, God’s Promises® for Graduates: Class of 2018—NKJV Navy, is the perfect gift for the grad in your life. This book shows grads God’s promises from Scripture on topics such as character, integrity, loyalty, focus, respect, perseverance, and more. Includes a ribbon marker, gilded edges, and a Leathersoft cover. To be successful in life, high school and college graduates need to stay in step with God. At each turn there are new challenges. What better help than this small book of God’s promises found in Scripture to bring guidance, comfort, and encouragement straight from the Word. Scripture passages are from the New King James Version translation. 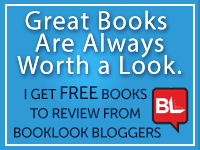 This book shows grads God’s promises on topics graduates will resonate with such as character, integrity, loyalty, focus, respect, perseverance, and more. Each topic is addressed with promises straight from the Bible. This keepsake gift has a ribbon marker, silver-gilded edges, and a Leathersoft over hardcover design that is perfect to accommodate personalization by imprinting the graduate’s name. Year after year the attractive navy cover is one of the most popular choices for young men and women. For more than 30 years, the God’s Promises® series has sold millions of copies, guiding and comforting people with God’s Word. Encourage, inspire, and give your graduate comfort and courage with this beautiful gift book. I found this book very easy to read and feel it will help young Adults as they go from High School to College stay connected to God. I chose this book for a special young man from my church who I have gotten to know for the past 7 years and he is graduating this June when leaving for the ARMY. I pray this book will help him in those rough times away from home. This little gem is Blue Leather bound with 208 pages in all. This small book of God’s promises found in Scripture to bring guidance, comfort, and encouragement straight from the Word. Scripture passages are from the New International Version translation. This book shows grads God’s promises on topics graduates will resonate with such as character, integrity, loyalty, focus, respect, perseverance, and much more. I have received this material free of change in return I post my honest opinion on this material.